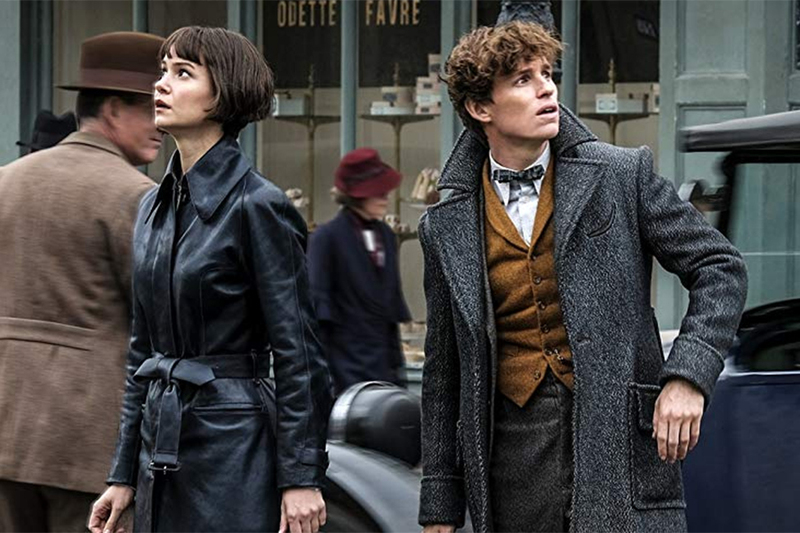 Fantastic Beasts: The Crimes of Grindelwald worked some magic the week ended March 17, levitating to the top spot on both Redbox charts. “Harry Potter” writer J.K. Rowling’s followup to Fantastic Beasts and Where to Find Them took the No. 1 spot on both the Redbox kiosk chart, which tracks DVD and Blu-ray Disc rentals at the company’s more than 40,000 red vending machines, and the Redbox On Demand chart, which tracks transactional video-on-demand (TVOD), both electronic sellthrough (EST) and streaming. The Warner release was new-to-disc for the week, streeting March 12. Two other new disc releases, both from Universal, entered the chart for the week. Best Picture Oscar winner Green Book nabbed the No. 2 spot. The film also picked up Academy Awards for Best Original Screenplay and Best Supporting Actor for Mahershala Ali. Mortal Engines, a post-apocalyptic actioner backed by Peter Jackson, came in at No. 4, just behind the previous week’s top title, Paramount’s Instant Family, a comedy starring Mark Wahlberg and Rose Byrne. Warner’s fight drama Creed II landed at No. 5 on the disc chart, falling from No. 2 the previous week. On the digital side, coming in at No. 2 for the week was Instant Family, sliding from No. 1. Green Book entered at No. 3, followed at No. 4 by another Oscar-lauded film, Warner’s A Star Is Born, which picked up an Academy Award for Best Original Song and earned eight nominations, including acting nods for Bradley Cooper and Lady Gaga. Mortal Engines rounded out the top five on the digital chart. Holiday sales from before Thanksgiving through Christmas increased 5.1% to more than $850 billion this year — the strongest growth in the last six years, according to the Mastercard SpendingPulse report, which covers overall retail spending trends across all payment types, including cash and check. Online shopping also saw large gains of 19.1 percent compared to 2017, according to the report, which details holiday shopping from Nov. 1 through Dec. 24. Poor weather did pose an issue during some primetime shopping periods, the study found. This included cold weather on Black Friday morning on the East Coast and wet weather conditions the weekend of December 15-16 on both the East and West coasts. Also, storms Dec. 21 in the East with storms impacted the final run of the season. The findings are based on aggregate sales activity in the Mastercard payments network, coupled with survey-based estimates for certain other payment forms, such as cash and check. 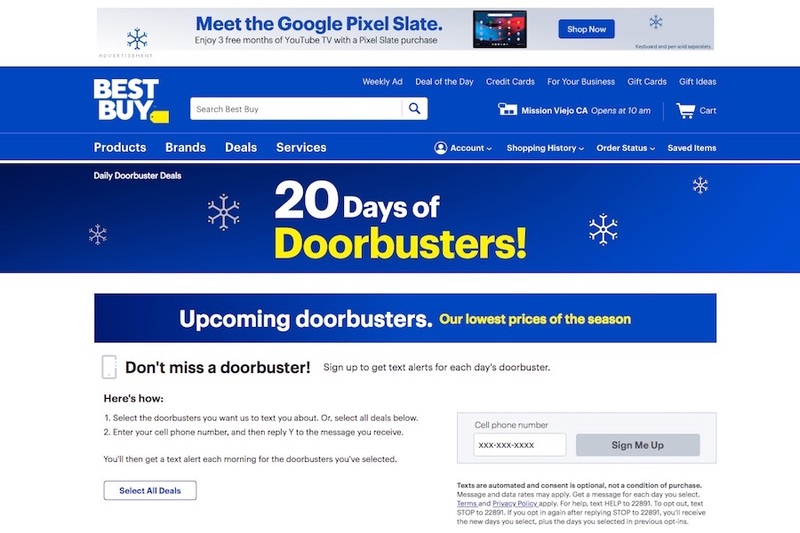 Consumers can sign up to receive text alerts for each day’s “doorbuster,” which they can select on the Best Buy website. Best Buy will offer doorbuster deals for big screen smart 4K TVs on Dec. 4, Dec. 12 and Dec. 18, and for a game console on Dec. 8. The website doesn’t specify brands. Home entertainment content has never been cheaper — or easier to get. 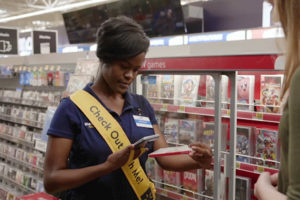 Over the Black Friday holiday weekend, consumers can buy DVDs for less than $2 at Walmart. They can purchase Blu-ray Discs for less than $4 at Walmart, Target and Best Buy. And, for those who’d rather stay home and not brave the crowds, they can rent some movies for as little as 99 cents at Redbox and Google Play, buy movies digitally for as little as $4.99 at Google Play, or purchase a broad selection of recent hits, from A Quiet Place to Sicario: Day of the Soldado, at Redbox or FandangoNOW for under $10. At Walmart – which was open all day on Thanksgiving – Black Friday prices went into effect at 2 p.m. the day before, on Wednesday, Nov. 21. The first taste of home entertainment in the giant retailer’s 36-page mailer comes on page 7, with a Walmart digital Vudu Card with Mission: Impossible – Fallout available for $7.96, $12 off the regular price. On the same page, Walmart is promoting an LG “smart” Blu-ray Disc player for $49, which includes $10 in Vudu credit. DVDs and Blu-ray Discs don’t get called out until page 11, with Walmart promising more than 110 different DVD movies for $1.96, including Ice Age: Collision Course, The Peanuts Movie and The Wizard of Oz. Walmart also is offering more than 180 DVDs and Blu-ray Discs for $3.96, including Home Alone, Fast & Furious 8, and How the Grinch Stole Christmas (the live-action one, with Jim Carrey); 50 at $5.96 (including Ice Age, Justice League and the Deadpool 2 DVD); 30 at $7.96 (including the Deadpool 2 Blu-ray Disc); 50 at $8.96 and 90 at $9.96. Walmart also is offering Xbox and PlayStation 4 games for as low as $12. Sparse shelves at Target in Mission Viejo, Calif., Nov. 23. Target Stores’ mailer prominently advertises the hot new video game Call Duty: Black Ops 4, which came out Oct. 12, for $45. Stores opened on Thanksgiving Day at 5 p.m., but Black Friday pricing went into effect at 6 p.m. the day before, on Wednesday, Nov. 21. 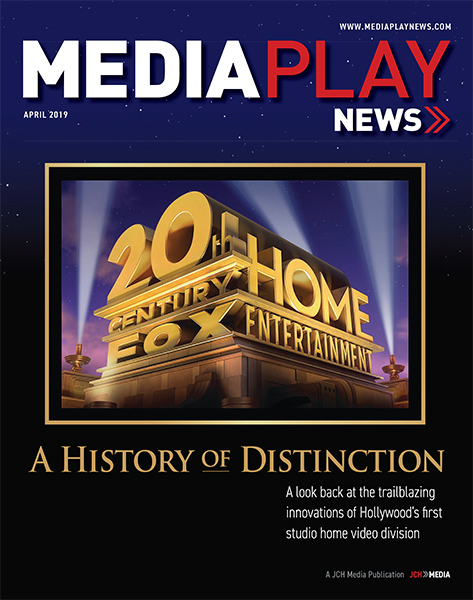 Movies start on page 15 of the 47-page flier, with the whole top half of the page devoted to $4 DVDs and Blu-ray Discs, including Deadpool, Bad Moms, Ocean’s 8, The Greatest Showman and Jurassic World: Fallen Kingdom (all on DVD only) as well as Blu-ray Discs of The Peanuts Movie, Smurfs: The Lost Village and The LEGO Batman Movie. 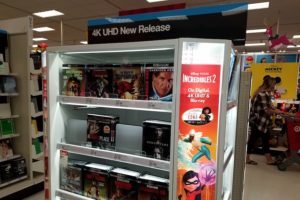 A 4K Ultra HD Blu-ray Disc display at Target in Mission Viejo on Black Friday. 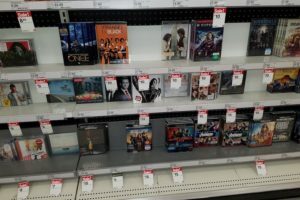 Target also is selling an assortment of discs for $6 (Bad Moms, Justice League, Wonder Woman, Peter Rabbit, Paddington 2, all on Blu-ray Disc), as well as another batch at $9 (including 4K Ultra HD Blu-ray editions of Deadpool, Jumanji: Welcome to the Jungle, Spider-Man: Homecoming, The Hitman’s Bodyguard and Pacific Rim). At Best Buy, stores also opened on Thanksgiving Day at 5 p.m. and, like Target, Black Friday prices have been in effect since Nov. 21 at 6 p.m. Right on page one of the retailer’s 52-page mailer is an ad for $6.99 Blu-ray Disc/DVD combo packs of Avengers: Infinity War, Black Panther, Coco and Deadpool 2. “These Deals are Blockbusters,” the headline reads. Inside are ads for games at $19.99 to $29.99 and $14.99 and under. Hot new releases Red Dead Redemption 2 and Fallout 76 are not discounted ($59.99), but come with collectible freebies: a collapsible cup for Red Dead Redemption and a Vault Boy keychain for Fallout 76. Best Buy also is advertising 55 4K Ultra HD Blu-ray Disc titles at $14.99 each, including Ant-Man and The Wasp, Avengers: Infinity War, Deadpool 2, Jurassic World: Fallen Kingdom, Coco, Black Panther and Skycraper. On the next pages are 75 Blu-ray Discs at $3.99 each, including Wonder Woman, Jurassic World, Dawn of the Planet of the Apes, and Kingsman: The Secret Service; 70 at $5.99, including Ready Player One, It, Tag, The Darkest Minds, and Dunkirk; 50 at $7.99, including The Death of Superman, Overboard, Deadpool 2 and Uncle Drew; and 35 at $9.99, including Justice League, Jumani: Welcome to the Jungle, and Sicario: Day of the Soldado. Best Buy also is selling more than 20 Ultra HD Blu-ray Disc titles at $7.99 each, including John Wick, American Assassin, Hacksaw Ridge, Hell or High Water, The Hitman’s Bodyguard and Terminator 2: Judgment Day. 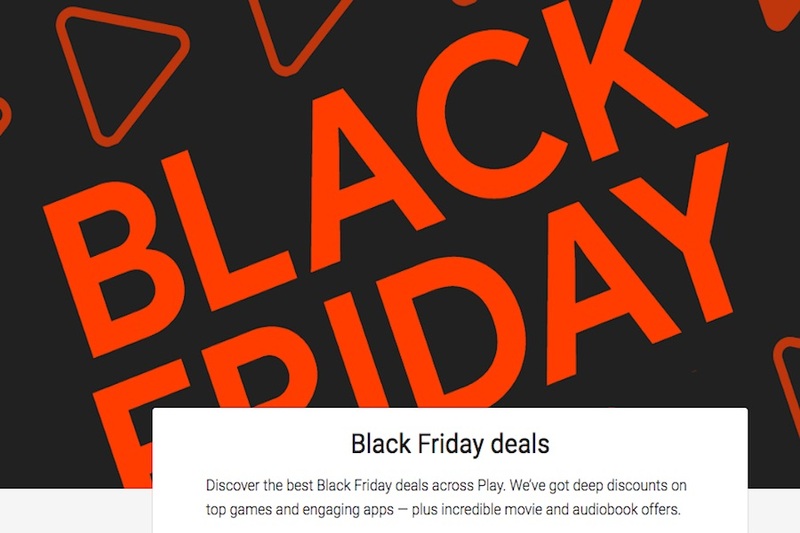 Digital retailers are offering movie deals this holiday weekend, as well. Google Play offered 99 cent rentals on Thanksgiving Day, including such recent releases as Crazy Rich Asians and Incredibles 2, giving consumers something to watch while they enjoy their turkey coma. It has also slashed prices on digital purchases to as low as $4.99. Among the movies consumers can buy for less than $5 are The Maze Runner, Wrath of the Titans, Now You See Me, Escape Plan 2, A Prayer Before Dawnand Independence Day: Resurgence. Other “limited time Cyber Week deals” include various recent hit movies for $9.99, including Mamma Mia: Here We Go Again (regular price, $14.99), Spider-Man: Homecoming ($21.99) and Deadpool 2 ($19.99). Google Play also is offering access to Starz for $5 a month for three months (the regular price is $8.99 per month). Redbox is offering deals on numerous digital purchases, including such recent releases as A Quiet Place (cut to $7.99 from $14.99), Sicario: Day of the Soldado (at $9.99 from $18.99), Rampage (at $9.99 from $19.99) and Uncle Drew (at $9.99 from $14.99). The rental kiosk company is also offering deals on used discs based on location. FandangoNow, the on-demand service owned by Fandango, is offering special deals on digital purchases as well, with such new releases as Deadpool 2, Rampage, A Quiet Place, Daddy’s Home 2 and Ready Player Oneat under $10. FandangoNow also is offering consumers $8 toward a movie ticket for every $20 they buy on digital purchases or streams. For consumers who’d rather stream than buy, both Redbox and Google Play are offering 99-cent rentals throughout the holiday weekend. At Redbox, the selection includes The Other Woman, Playing It Cool, The Girl Next Door and Cast Away. At Google, 99-cent rentals include a wealth of current hits, including Crazy Rich Asians, The Meg, Incredibles 2, Mile 22, Jurassic World: Fallen Kingdom and Fantastic Beasts and Where to Find Them. In addition to all the offers on TVs and physical discs at brick-and-mortar and online stores, retailers are offering digital movie deals this holiday weekend. Google Play is offering 99 cent rentals on Thanksgiving Day, including such recent releases as Crazy Rich Asians and Incredibles 2, giving consumers something to watch while they enjoy their turkey coma. It has also slashed prices on digital purchases to as low as $4.99. Among the movies consumers can buy for less than $5 are The Maze Runner, Wrath of the Titans, Now You See Me, Escape Plan 2, A Prayer Before Dawn and Independence Day: Resurgence. FandangoNow, the on-demand service owned by Fandango, is offering special deals on digital purchases as well, with such new releases as Deadpool 2, Rampage, A Quiet Place, Daddy’s Home 2 and Ready Player One at under $10. 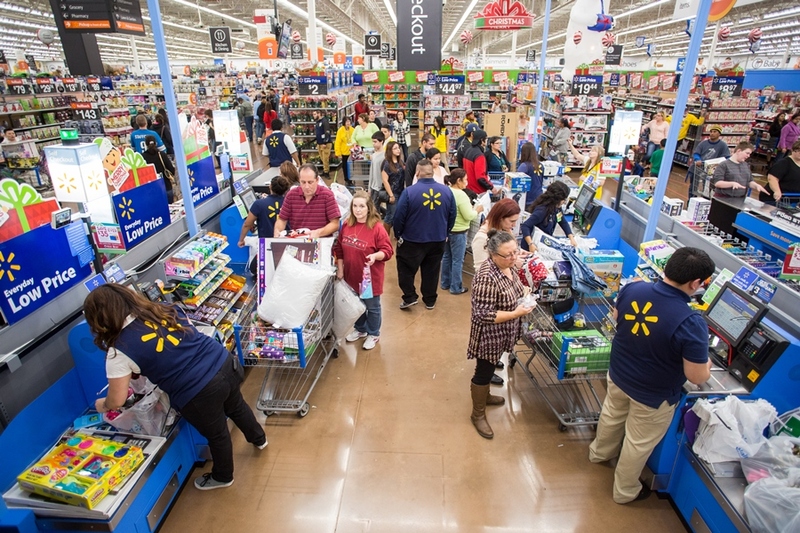 Walmart Nov. 8 announced Black Friday deals along with plans to start the deals on Walmart.com at 10 p.m. EST Wednesday, Nov. 21, two hours earlier, among other shopping enhancements. Walmart.com has more than a dozen Black Friday deals available now, including a Sharp 55-inch 4K Ultra HD HDR Smart LED TV at $299; a Sharp 50-inch 4K Ultra HD HDR Smart LED TV at $249; and a RCA 65-inch 4K Ultra HD LED TV at $399. Nov. 22, from 4 p.m. to 6 p.m. local time, the retailer will launch “Light Up Black Friday” parties for customers, giving away 4 million cups of complimentary coffee courtesy of Keurig and nearly 2 million free Christmas cookies from the Walmart Bakery, according to the retailer. At 6 p.m. local time, the in-store event begins with new tools for shopping, including enhanced Black Friday store maps in the Walmart app and “Check Out With Me” associates. The app’s store map feature will transition to a Black Friday version from 4 p.m. to 8 p.m. local time. Shoppers can browse the Black Friday circular on the app, select an item and its location will appear on the Black Friday store map. The Black Friday store map will also include pins that direct shoppers to the top eight Black Friday deals. Key departments, such as toys, electronics, home and apparel, will once again be color coded in the Black Friday event circular, in the app store map and on printed maps distributed in stores, as well as in stores on event night with balloons, signs and associates in colored vests. “Check Out With Me” associates — identifiable with a yellow sash — will be placed in key areas of the store. Among the Black Friday deals are the PS4 1TB Slim Spider-Man Bundle ($199); the Sharp/TCL 65-inche Class 4K Roku Smart TV ($398); the Hisense 40-inch Class 1080p TV ($99); and the Xbox ONE S 1TB Minecraft Creators Bundle ($199). The retailer will also offer hundreds of disc titles at prices from $1.96 to $9.96 each.